Transform the way society moves. Conduct research, development, and education activities to facilitate the adoption of information and communication technology to enable society to move more safely and efficiently. The USDOT's current ITS research program is focused on two key priorities: Realizing Connected Vehicle Implementation and Advancing Automation. The ITS Strategic Plan lays out program categories that provide a structure for research, development, and adoption of ITS technologies that advance these key priorities. 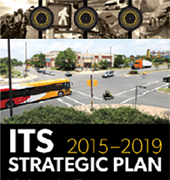 Learn more in the 2015-2019 ITS Strategic Plan. The ITS Joint Program Office-through the Professional Capacity Building Program (ITS PCB), the FHWA Office of Operations, and training partners-provides opportunities to learn about existing and emerging ITS technologies. Most training courses are free to public sector agencies. The page you are looking for has been removed, had its location changed, or has been deleted. Please visit the Intelligent Transportation Systems (ITS) home page or the ITS Site Map to locate the page. Additionally, we have moved pages from previous ITS research programs into an ITS Research Archive. Please click on the archive link to find your page. 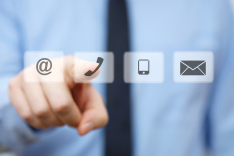 Contact the ITS Webmaster at itsweb.master@dot.gov for any questions.